For many brands that find organic approaches to be increasing difficult, the future is still bright. How can this be? Pay per click campaigns and other forms of targeted advertising are low-cost and highly-targeted solutions designed to provide the same level of benefit as traditional SEO campaigns. The main difference between the two is one of both price and time: PPC campaigns allow even small businesses to quickly target select individuals and begin wooing them with products, services or information. Whether you are new to the PPC game or an established campaign manager, you’ll appreciate these four tips that all successful PPC masters utilize when planning their next moves. 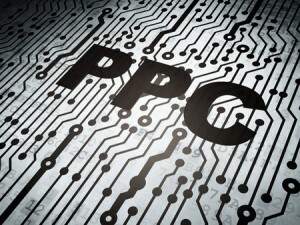 Practically all brands approach the concept of PPC campaigns from the perspective of strengthening their bottom lines. Beyond that, however, what goals do you have for the PPC campaigns? How specifically will you expand the bottom line – through clicks, through purchases, through shares? Whether you are attempting to convince visitors to fill out a contact form, to place a call to your business or to purchase a product directly, know this before constructing any campaign. Pinging users without knowing your goals will inevitably be a waste. In order to get the most out of any PPC campaign, it is vital that reach is as large as possible – all while targeting relevant search engine users, of course. For instance, many brands may wish to target both generic and branded keywords in a given niche, which will ensure your message reaches greater levels of traffic. This can be particularly useful when you are in competition with a better-known brand and want to encroach upon their territory. It’s also important to remember that negative keywords can be just as helpful as traditional keywords when it comes to making your PPC campaigns more efficient. With a wealth of information available as to how various PPC campaigns perform, you have no excuse not to utilize this information to improve overall performance. In addition to broader information available for your niche and for PPC campaigns in general, you can also analyse stats for previous PPC campaigns you have deployed to learn a myriad number of things about your audience. For instance, if your campaigns tend to do better on the weekends than they do throughout the week, plan your ad deployment to take advantage of this. Data can help anyone – whether they be a seasoned expert or a fresh face to PPC – achieve better results. This is a huge part of achieving success with PPC. Some brands attempt to “trick” their audiences by indirectly or directly alluding that the content they’ll find once clicking is different than what it actually entails. While this might increase click through rates, pinging users with this deception will inevitably only result in wasted resources, as virtually all will bounce once they discover the ruse. Above all else, be honest about what you are serving to an audience; this way, the clicks you do receive are legitimately interested in what you have to offer. « Deciding How to Handle SEO – Internally or Through a Firm?